It’s July 25. If you don’t know what that means in The Intentional Mom Community, it means it’s the best day of the year. Ever hear of Christmas in July? I bet you have! Around here, this is the day you all wait the entire year for…well actually it’s 3 days. 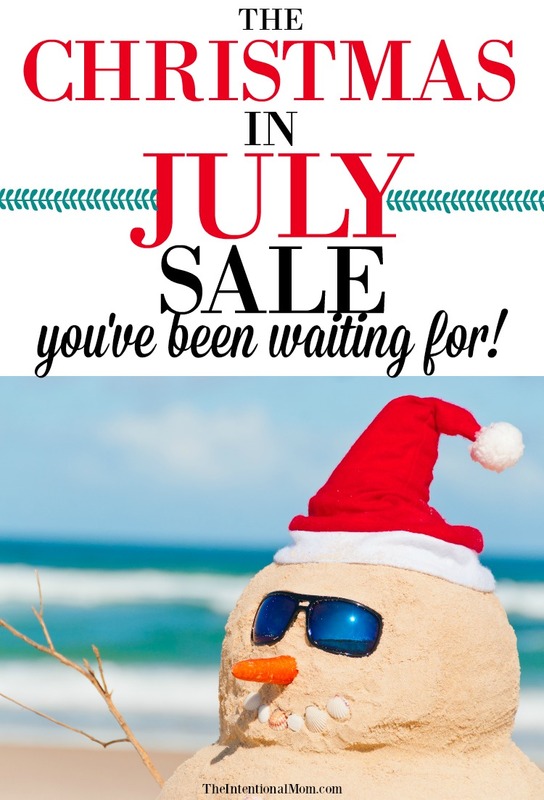 July 25, 26 and 27 only, we are celebrating Christmas in July! Here are all the cool offers you can take advantage of (& it’s the only time these offers are here during the entire year!). You can get your first month of my money saving membership community for free HERE (normally $29!) where you can save $200 or more just by changing a few things of the things you’ve been doing – or not doing – with your money. My shop has resources on clutter, cleaning, time management, saving money, setting goals, organizing your holidays and more. These also make great gifts – just email me at jenniferroskamp@theintentionalmom.com and I’ll tell you how to turn these digital resources into gifts for your friends and loved ones. As a summer lover I truly do not like thinking about anything related to cold weather in July. But, I do love all the amazing sales on this wonderful day. So, I’ve created some fantastic ways to save money for you, too. Just remember, that it’s only for three days ONLY!